The Beaux Arts Ball is an annual event co-hosted by the Detroit Mercy and Lawrence Tech Chapters of the American Institute of Architecture Students (AIAS). This year, as the collaborative AIAS Beaux Arts ball celebrates its 10th anniversary, we are excited to announce our new partnership with the Detroit Mercy Chapter of The National Organization of Minority Architecture Students (NOMAS) and their involvement in the planning process. 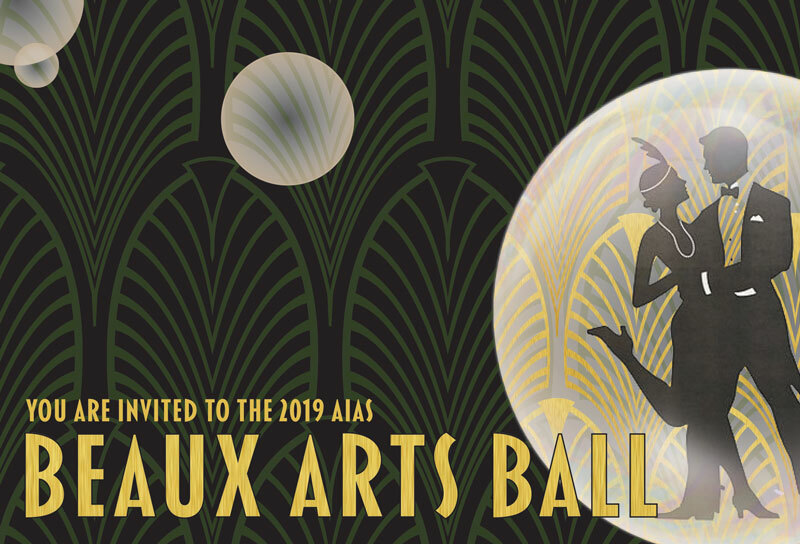 The modern-day AIAS Beaux Arts Ball aims to bring together architecture students, alumni, and professionals for a night of cross-generational networking in an atmosphere intended for enjoyment by all. This year, The Ball will take place at the well-known Museum of Contemporary Art Detroit on Saturday, February 9th. Styled in a 1920’s fashion, the evening begins at 8:00pm, with a short program at 9:00pm to welcome guests, thank sponsors, recognize the hard work of students, and honor Will Wittig’s retirement as Dean of the Detroit Mercy School of Architecture. Light appetizers and bar will be available throughout the night, the Museum’s gallery will be open for viewing until 11:00 PM, and there will most certainly be music and dancing. We ask that you join us to show the profession’s support of the local architecture students and your appreciation for Will Wittig not only as an AIA Michigan past president, but also as a tireless champion in the effort to further improve Detroit Mercy’s School of Architecture.